Sen. Kirsten Gillibrand (D-NY) is among the most reliable advocates for cannabis reform in Congress. Over recent years, she has co-sponsored several pieces of marijuana legislation and regularly advocates for cannabis policies in statements and on social media. Gillibrand’s stance on cannabis has evolved considerably over time. Like many of the other 2020 Democratic presidential candidates, she was once a non-participant in the effort to reform cannabis policies. During her two years in the U.S. House, from 2007 to 2009, she did not co-sponsor any cannabis-related bills and even voted against a floor amendment aimed at protecting medical marijuana states. 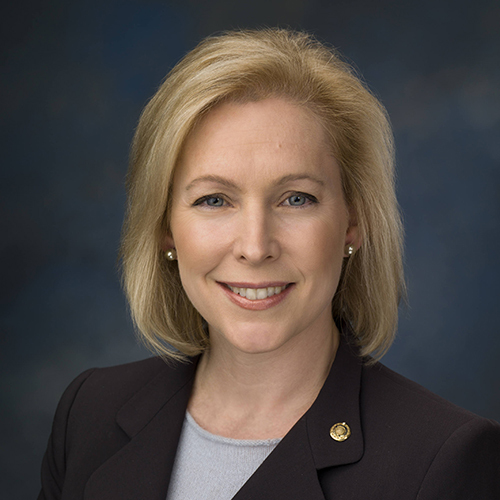 Today, however, Gillibrand is one of the most vocal and active supporters of marijuana. She is a co-sponsor of Sen. Cory Booker’s Marijuana Justice Act, a bill that would allow states to legalize marijuana and punish those that enforce marijuana laws disproportionately, as well as his CARERS Act, a piece of legislation that would shield medical marijuana states from federal interference. She’s also co-sponsored bills to legalize hemp and encourage research into the potential benefits of cannabis for conditions that commonly impact veterans. Gillibrand has also used her position in Congress to come to the defense of marijuana reform efforts. She publicly slammed opioid companies in 2018 for actively opposing the legalization of marijuana, and joined colleagues in urging the Justice Department to stop blocking efforts to grow marijuana for use in research. In 2016, Gillibrand and 26 other lawmakers sent President Barack Obama a letter, urging him to end the current barriers that hinder the study of cannabis and its potential benefits.